Tony Page, president for EMEA, discussing the acquisition, commented: “We’re in the process of kicking off the first major project between us and Massive. At the moment the plan is Massive will operate as Massive does, effectively as another business unit within Deltatre. “From my point of view it is the complementary products and capabilities we now have that’s important. Both companies complement each other and now we’re the largest independent OTT provider, we want to increase that experience for our clients. “We’re quite uniquely positioned with our combined OTT platform and history in more traditional broadcast on-site services. Our understanding of the broadcast market and OTT puts us in this converging space,” he continued. Massive interactive’s next generation user interface, Axis, and audience engagement technology add a valuable new dimension to Deltatre as end user experience (UX) has become a difference-making resource for digital media growth. 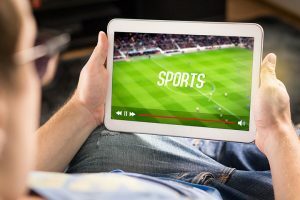 Axis underpins sports and entertainment OTT streaming services for the BBC Worldwide, Bell Media, Channel 5, Telecine, Sony Pictures Television, DR and numerous other high profile clients. 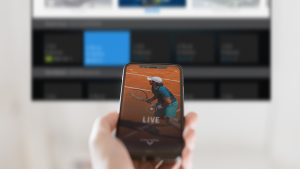 It is a valuable addition to Deltatre’s Amplify, an OTT platform which is currently serving the ATP’s Tennis TV, NFL Game Pass Europe, FINA TV, and several others. Page has recently returned to Deltatre. 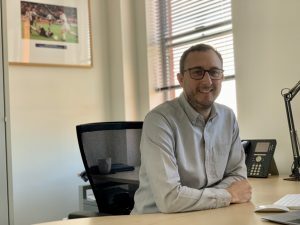 He was previously managing director for Europe at Hawk-Eye Innovations, and prior to that was at Deltatre for 11 years, including heading up Deltatre’s broadcast graphics and results business in the UK. He commented: “I came back because I’m proud of what we’ve built in Deltatre. When I joined in the UK we had 10 people. When I moved on there was 90 to 100 people in the UK. “Now, this is an exciting time; with the growth in OTT and the Massive acquisition, we’re really one of the largest OTT agencies on the market so it felt right to come back and focus in what we’re doing in the OTT space,” Page continued. “We have been doing a lot of work in recent years on our digital first productions, and now adding Massive to the group with its Axis console, we can take that to the next level.